There seems little doubt that the name Hezmalhalch is derived from the older name Hesmondhalgh, meaning Esmond or Osmond’s halgh (a Lancastrian name for a geographical feature, possibly a hollow) which was situated in the area of Ribchester. By the time the first known bearers of the name had settled in the West Riding, it had transformed into Hesmonhalsh, becoming within a couple of generations officially Hezmalhalch, though a search of old records and documents reveal many different spellings. 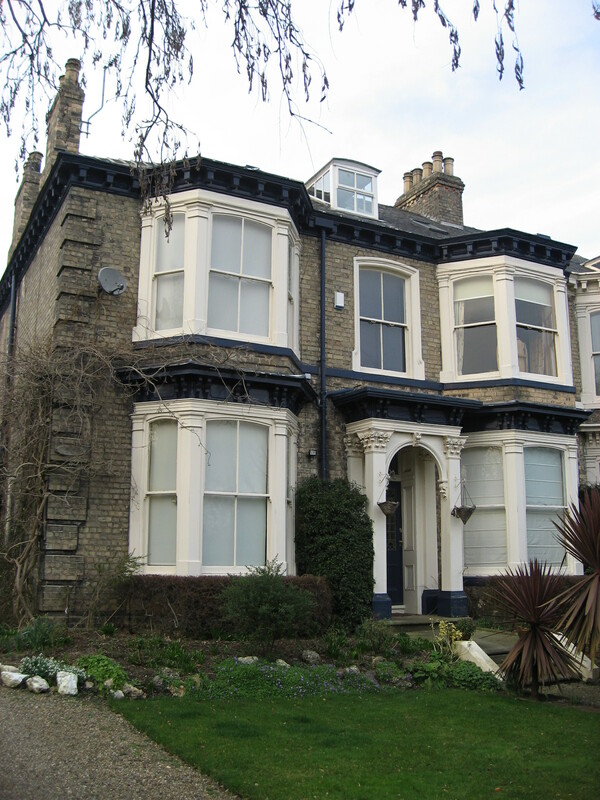 When a member of the family migrated to the East Riding he already went by the variant Hazmalanch, which his descendants changed to Haswell for obvious reasons! 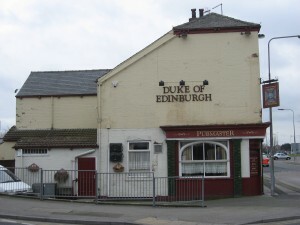 The connection with the Pickering family is through the building trade. 1. Richard HESMONHALSH born c1676, died before 1716, married before 1696 Jane UNKNOWN born c1676, died 1717. 1.1. Ann HESMONHALSH baptised 16 September 1696 Killinghall, West Yorkshire. 1.2. James HESMONHALSH baptised 5 February 1699 Killinghall, West Yorkshire, buried 14 June 1759 Leeds married Unknown UNKNOWN. 1.3. Thomas HESMONHALSH baptised 11 April 1702 Killinghall, West Yorkshire, buried 28 April 1702 Killinghall, West Yorkshire. 1.4. Margaret HESMONHALSH baptised 29 May 1703 Ripley, West Yorkshire, married 29 May 1729 Ripley, West Yorkshire Thomas TASKER born 1703. 1.5. Elizabeth HESMONHALSH baptised 6 October 1706 Ripley, West Yorkshire, married 30 September 1734 Great Mitton, West Yorkshire, William CROSS born 1706. 1.6. Jane HESMONHALSH baptised 5 December 1709 Ripley, West Yorkshire. 1.7. Mary HESMONHALSH baptised 24 June 1714 Killinghall, West Yorkshire, buried 5 October 1716. 1.2.1. Elizabeth HEZMALHALCH baptised 2 August 1724 Thorp Arch, West Yorkshire, died 22 April 1811, married 29 September 1757 Abraham HUDDLESTONE. 1.2.2. Jane HEZMALHALCH baptised 10 October 1727 Thorp Arch, West Yorkshire, married 19 January 1750 Michael GREGG born c1727 Whixley, West Yorkshire. 1.2.3. Mary HEZMALHALCH baptised 17 February 1730 Thorp Arch, West Yorkshire, had a child c1751 by Unknown UNKNOWN. 1.2.4. 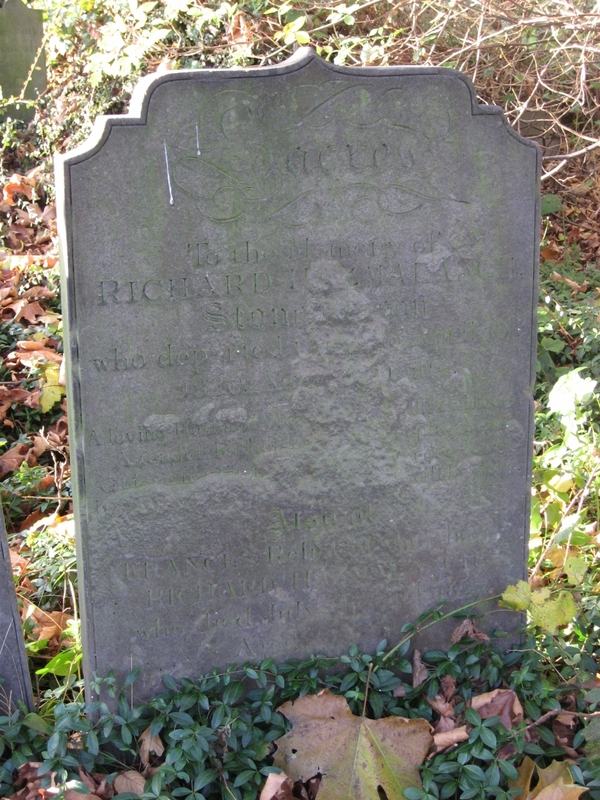 Richard HEZMALHALCH baptised 6 January 1733 Thorp Arch, West Yorkshire, died after 1806, married 24 November 1761 Whitkirk, West Yorkshire Ann ADAMSON baptised 4 February 1736 Oulton, West Yorkshire, died 4 October 1804 Chapel Allerton, West Yorkshire. 1.2.5. Catherine HEZMALHALCH baptised 6 January 1736 Thorp Arch, West Yorkshire, married 7 December 1773 Leeds, West Yorkshire John YEWDALL born 1736. 1.2.3.1. James HEZMALHALCH millwright, born c1752, died 11 April 1821, married 1st 27 March 1775 Leeds Mary STUBBS born c1751 Leeds, died 1802, married 2nd 17 January 1803 Leeds Sarah ADAMSON (daughter of Joseph ADAMSON) (see above). 1.2.4.1. James HEZMALHALCH born Thwaites Mill, baptised 3 December 1762, Rothwell, West Yorkshire, buried 27 November 1775 Thwaites Mill, Rothwell, West Yorkshire. 1.2.4.2. John HEZMALHALCH born Thwaites Mill, baptised 15 April 1763 Rothwell, West Yorkshire, buried 12 June 1795, married 12 January 1786 Leeds Elizabeth LITTLEWOOD born 1761, buried 12 January 1796. 1.2.4.3. Joseph HEZMALHALCH born Thwaites Mill, baptised 30 November 1765, Rothwell, West Yorkshire, buried 4 February 1766 Rothwell, West Yorkshire. 1.2.4.4. Elizabeth HEZMALHALCH born Thwaites Mill, baptised 26 December 1768, Rothwell, West Yorkshire, married 10 March 1789 Shoreditch, London Robert POULTON born 1755 London. 1.2.4.5. Richard HEZMALHALCH millwright, born Thwaites Mill, baptised 8 May 1772 Rothwell, West Yorkshire, married 1st c1792 Rothwell, West Yorkshire Elizabeth UNKNOWN born c1773, buried 28 April 1793, married 2nd 2 December 1812 Mary CLARK born Sculcoates, Hull, East Yorkshire, died 1870. 1.2.4.6. Joseph HEZMALHALCH born Thwaites Mill, baptised 24 May 1774 Rothwell, West Yorkshire, buried 6 June 1805 Rothwell, West Yorkshire. 1.1.2.7.1. Elizabeth PICKERING baptised 24 born August 1646 Hedon. 1.2.3.1.1. Joseph HEZMALHALCH born 4 August 1779 Leeds, buried 11 January 1821, married 29 September 1801 Leeds Mary SYKES (daughter of Samuel SYKES) baptised 26 August 1781, Leeds. 1.2.3.1.2. Mary HEZMALHALCH born 17 August 1782 Leeds, married 17 November 1806 Benjamin FOX born c1782 Leeds. 1.2.3.1.3. Sarah HEZMALHALCH born 30 April 1785 Leeds, married 15 October 1804 John GAWTHORPE born c1785 Leeds. 1.2.3.1.4. James HEZMALHALCH millwright, born 25 May 1788 Leeds, died 30 April 1853 Leeds, married 29 February 1812 Leeds Mary JOHNSON born 20 May 1787 Leeds, buried 12 July1861 Woodhouse, Leeds. 1.2.3.1.5. John HEZMALHALCH millwright, born 14 November 1791 Leeds, died 5 July1839 Leeds, married 23 January 1817 Leeds Mary MYERS born c1790 Leeds, buried 26 May 1850 Woodhouse, Leeds. 1.2.4.2.1. Ann HEZMALHALCH born 1786, buried 19 October 1786. 1.2.4.2.2. James HEZMALHALCH baptised 21 September 1787 Chapel Allerton, West Yorkshire, died 1789 Chapel Allerton, West Yorkshire. 1.2.4.2.3. Dinah HEZMALHALCH born 29 January 1789 Leeds, buried 20 November 1789. 1.2.4.2.4. John HEZMALHALCH master cabinet maker, born 2 April 1791 Chapel Allerton, West Yorkshire, died 1853, married 7 April 1811 Rothwell, West Yorkshire Elizabeth HOLT born c1791, died 1846. 1.2.4.2.5. 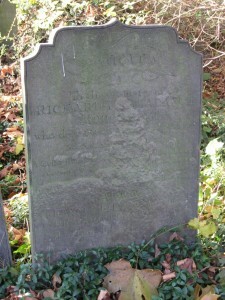 Richard HAZMALANCH mason, born 4 November 1792 Potternewton, West Yorkshire, died 10 April 1826 Sculcoates, Hull, East Yorkshire, married 30 October 1814 Sculcoates, Hull Frances LAMB (daughter of John LAMB and Sarah WHITELOCK) baptised 8 July 1794 Hull, buried 2 August 1827 Hull. 1.2.4.2.6. Charles HEZMALHALCH born 9 March 1795 Leeds, buried 24 February 1797. 1.2.4.5.1. Thomas HEZMALHALCH baptised 9 October 1791 Rothwell, died Thwaite Mills, buried 27 January 1794, Rothwell. 1.2.4.5.2. Edward HEZMALHALCH born 9 April 1793 Rothwell, died 25 April 1793 Rothwell. 1.2.3.1.4.1. Ann HEZMALHALCH milliner, born 11 June 1812 Leeds, buried 18 January Woodhouse, Leeds. 1.2.3.1.4.2. James HEZMALHALCH millwright, born 10 October 1813 Leeds, died 29 November 1883 Leeds, married 20 April 1837 Maria OLDROYD born 1816, died 21 October 1901. 1.2.3.1.4.3. Joseph HEZMALHALCH whitesmith, born 24 February 1816 Leeds died 19 July 1856 Leeds. 1.2.3.1.4.4. John HEZMALHALCH baptised 13 July 1817 Leeds, buried 1818 Leeds. 1.2.3.1.4.5. Thomas HEZMALHALCH millwright, born 9 December 1818 Leeds, died 14 March 1890 Brighton, Sussex married 1st 1842 Esther SCOTT, married 2nd 1855 Isabella DOIG born 1827 Arbroath, Tayshire, Scotland, died 1915 London. 1.2.3.1.4.6. William Stubbs HEZMALHALCH born 29 February 1820 Leeds, died 5 December 1850 Leeds, married 23 November 1850 Leeds Ellen POUNDER baptised 24 June 1822 Leeds, buried 15 September 1880, Leeds. 1.2.3.1.4.7. David HEZMALHALCH born 6 July 1821 Leeds, buried 8 March 1822 Leeds. 1.2.3.1.4.8. Job HEZMALHALCH whitesmith, born 22 December 1823 Leeds, buried 25 October 1894 Leeds, married 16 March 1850 Eliza POOL born 1826 Hull, buried 9 December 1862. 1.2.3.1.4.9. Mary HEZMALHALCH milliner, born 17 April 1825 Leeds, died 8 February 1907 Woodhouse, Leeds. 1.2.3.1.4.10. Richard HEZMALHALCH millwright, born 30 may 1827 Leeds, buried 27 October 1904, married 1857 Louisa BROWN born 1836 Leeds, died 1904. 1.2.3.1.5.1. Thomas HEZMALHALCH born 9 December 1817 Leylands, Leeds, died 6 September 1891 Felliscliffe, West Yorkshire. 1.2.3.1.5.2. John HEZMALHALCH born 20 October 1821 Leylands, Leeds, died 1 December 1848 Leeds. 1.2.3.1.5.3. Mary HEZMALHALCH housekeeper, born 17 April 1823 Leeds, died 11 June 1909 Felliscliffe, West Yorkshire. 1.2.3.1.5.4. Elizabeth HEZMALHALCH born 17 October 1824 Leylands, Leeds, buried 6 December 1824 Leeds. 1.2.3.1.5.5. James HEZMALHALCH millwright, born Oct. 22, 1825 Leylands, Leeds, died 9 June 1891 Felliscliffe, West Yorkshire. 1.2.3.1.5.6. Hannah HEZMALHALCH baptised 4 November 1827 Leylands, Leeds, buried 17 April 1828 Leeds. 1.2.3.1.5.7. Joseph HEZMALHALCH moulder, born 1829 Leeds, West Yorkshire, Leylands and died Apr. 25, 1896 Felliscliffe, West Yorkshire. 1.2.4.2.4.1. William HEZMALHALCH baptised 11 August 1816 Hunslet, West Yorkshire, buried 27 January 1818 Leeds. 1.2.4.2.4.2. James HEZMALHALCH cabinet maker, baptised 24 January 1819 Hunslet, West Yorkshire, died 1888 Leeds, married 1846 Leeds Hannah HAIGH born 1826 Huddersfield, West Yorkshire, died 1888. 1.2.4.2.4.3. Charles HEZMALHALCH baptised 17 March 1822 Hunslet, West Yorkshire, died 3 April 1869 Dewsbury, West Yorkshire, married 1844 Leeds Emma THOMPSON born 1824 Leeds. 1.2.4.2.4.4. Thomas HEZMALHALCH cabinet maker, born c1831 Hunslet, West Yorkshire, died 1860, married Michigan, U.S.A Sarah A. UNKNOWN. 1.2.4.2.5.1. Richard HAZMALANCH LAMB master builder, publican, baptised 23 April 1814 Sculcoates, Hull, died December 1890 Sculcoates, Hull, married 10 August 1835 Hull Ann GILCHRIST (daughter of Thomas GILCHRIST and Thomasina CRAIG) born c1817, died 1876 Sculcoates, Hull. 1.2.4.2.5.2. Ann HAZMALANCH baptised 1 January 1815 Hull, buried 7 May 1834 Sculcoates, Hull. 1.2.4.2.5.3. John HAZMALANCH green grocer, baptised 24 February 1818 Hull, buried 16 July 1851, married 15 September 1839 Sculcoates, Hull Mary WADE (daughter of Thomas WADE and Ann UNKNOWN) born 1819 Terrington, North Yorkshire, died July 1861 Hull. 1.2.4.2.5.4. Charles HAZMALANCH bricklayer, baptised 2 November 1819 Hull, died 1900 Sculcoates, Hull, married 1st 24 November 1839 Mary Ann STOCKDALE born c1820 Hull, died 5 February 1867 Sculcoates, married 2nd September 1867 Hull Ellen LAWSON born Sculcoates, Hull, buried 18 May 1876 Hull, married 3rd 12 September 1877 Hull Harriet Annie WITTY died before 1891 Hull. 1.2.4.2.5.5. James HAZMALANCH builder, baptised 29 September 1821 Hull, died 16 March 1911 Sculcoates, Hull, married 7 June 1845 Scarborough, North Yorkshire Sarah WADE (daughter of Thomas WADE and Ann UNKNOWN) baptised 4 May 1817 Copmanthorpe, North Yorkshire, died 20 August 1897. 1.2.4.2.5.6. George HAZMALANCH born 29 December 1822 Hull, buried 7 December 1823 Hull, East Yorkshire. 1.2.4.2.5.7. Sarah Elizabeth HAZMALANCH born 5 November 1824 Hull, buried 17 January 1827 Hull. 1.2.4.2.5.8. George HAZMALANCH baptised 23 December 1825 Hull, buried 6 October 1826 Hull. 1.2.3.1.4.5.1. Olive HEZMALHALCH born 1846, died 1930 California, U.S.A.
1.2.3.1.4.5.2. Thomas HEZMALHALCH minister, born 1847 New Jersey, U.S.A., died 1934 California, U.S.A., married 23 December 1871 Leeds Charlotte BEST born 1851 Leeds, died 1921 California, U.S.A.
1.2.3.1.4.5.3. Isabella HEZMALHALCH born 1855 Illinois, U.S.A., died 1926 London. 1.2.3.1.4.5.4. James HEZMALHALCH born 24 February 1857 Illinois, U.S.A., died 1933 Colorado, U.S.A., married 1885 Alice BOOTH. 1.2.3.1.4.8.1. Mary HEZMALHALCH born 1851 Leeds, died 1852 Leeds. 1.2.3.1.4.8.2. Sarah Ellen HEZMALHALCH born 1852 Leeds, died 1852 Leeds. 1.2.3.1.4.8.3. James Arthur HEZMALHALCH born 19 February 1856 Leeds, died 25 January 1924 Leeds. 1.2.3.1.4.10.1. Laura Isabel HEZMALHALCH born 1858 Leeds, died 1936 Leeds. 1.2.3.1.4.10.2. Frederick HEZMALHALCH leather finisher, born 1860 Leeds, died 1924 Dunde, married 1st 1886 Buslingthorpe, Leeds, Ann Eliza BAILES (daughter of Samuel BAILES and Mary HASTE) born 1861 Buslingthorpe, Leeds, died 1898 Market Harborough, Leicestershire, married 2nd 1903 Leeds Sarah STRUTT born 1856, died 1907 Dundee, married 3rd 1909 Leeds Elizabeth WILD born 1861, died 1924 Dundee. 1.2.3.1.4.10.3. Kate HEZMALHALCH milliner, born 1861 Leeds, buried 16 January 1936 Leeds. 1.2.3.1.4.10.4. Charles Herbert HEZMALHALCH leather finisher, born 1863 Leeds, buried 12 November 1929 Leeds. 1.2.3.1.4.10.5. Agnes Louise HEZMALHALCH dressmaker, born 1865 Leeds, married September 1886 Leeds Eli GELDARD born c1865. 1.2.3.1.4.10.6. Martha Alice HEZMALHALCH shop attendant, born 1867 Leeds, married September 1891 Leeds James PEARSON. 1.2.3.1.4.10.7. John Thomas HEZMALHALCH leather finisher, born 26 May 1875 Leeds, married 24 December 1895 Leeds Laura BAYLISS died 1966 New Jersey, U.S.A.
1.2.4.2.4.2.1. Joseph HEZMALHALCH pot maker, born c1846 Leeds, died 1874, married 1867 Hannah SHOOTER. 1.2.4.2.4.2.2. John HEZMALHALCH fishmonger, born 1847 Leeds, died 1911 Leeds, married June 1874 Leeds Letitia FIRTH born 1854 Kippax, West Yorkshire. 1.2.4.2.4.2.3. Ann Elizabeth HEZMALHALCH born 1850 Leeds, married 1872 Leeds James HORSFALL. 1.2.4.2.4.2.4. Sarah Jane HEZMALHALCH machinist, born 1852 Leeds, had a child by Unknown UNKNOWN. 1.2.4.2.4.2.5. Thomas HEZMALHALCH born 1857 Leeds. 1.2.4.2.4.3.1. Ann HEZMALHALCH born 1844 Leeds, married Septemner 1867 Dewsbury Unknown UNKNOWN. 1.2.4.2.4.4.1. Alice HEZMALHALCH born 1858 Michigan, U.S.A., married 30 August 1877 Michigan, U.S.A, Calhoun County Walter SHARP. 1.2.4.2.4.4.2. Ida HEZMALHALCH born 1861 Michigan, U.S.A., married 11 May 1881 Michigan, U.S.A, Calhoun County John BEBEE born 1865. 1.2.4.2.4.4.3. William HEZMALHALCH born 1863 Michigan, U.S.A., married 1886 Mattie MANIS. 1.2.4.2.5.1.1. Thomas HASWELL born 27 May 1836 Drypool, Hull, died September 1840 Sculcoates, Hull. 1.2.4.2.5.1.2. Jane HASWELL baptised 24 June 1838 Hull, died before 1851 Hull. 1.2.4.2.5.1.3. Thomas HASWELL bricklayer, baptised 14 April 1842 Hull, married 1865 Sutton, Hull Elizabeth WESTERDALE born c1843 Hull. 1.2.4.2.5.1.4. Richard HASWELL ship steward, born 1845 Sculcoates, Hull, died September 1871 Sculcoates, Hull, married 1869 Sculcoates, Hull Emma Percival RAINER born 1846 Scarborough, North Yorkshire. 1.2.4.2.5.1.5. George HASWELL steamboat fireman, born 1850 Hull. 1.2.4.2.5.1.6. William HASWELL carpenter, born September 1852 Sculcoates, Hull. 1.2.4.2.5.1.7. Sarah Ann HASWELL born 16 January 1855 Hull, died 2 March 1919 Sculcoates, Hull, married 31 March 1877 Hull Frederick PICKERING (son of Richard PICKERING and Emma RENNARDSON) bricklayer, born 1 November 1852 Preston, East Yorkshire, died 5 July 1930 East Sculcoates, Hull. 1.2.4.2.5.1.8. Mary Jane HASWELL born 1857 Hull, married 1877 Sculcoates, Hull Henry TAYLOR waterman, born c1854 Hull, died after 1926. 1.2.4.2.5.1.9. John Henry HASWELL merchant seaman, born 1858 Hull, died before 1891. 1.2.4.2.5.3.1. Elizabeth Frances HAZMALANCH born 1840 Hull, died Sep. 1877, married 24 October 1863 Sculcoates, Hull James E. MOSS. 1.2.4.2.5.3.2. Richard Wade HAZMALANCH labourer, baptised 28 April 1844 Sculcoates, Hull, buried 4 November 1918, married 11 August 1890 Jane SMITH. 1.2.4.2.5.3.3. George HAZMALANCH mule piecer, born June 1846 Hull, died 1901 Hull, married 1870 Hull Hannah GOWER born c1856 Hull. 1.2.4.2.5.3.4. Ann HAZMALANCH baptised 19 March 1848 Hull, buried 19 February 1850 Sculcoates, Hull. 1.2.4.2.5.3.5. John James HAZMALANCH colliery labourerborn Mar. 25, 1850 Hull, married 1876 Pontefract, West Yorkshire Ann GOTT born c1850 Pontefract, West Yorkshire. 1.2.4.2.5.4.1. Charles HASWELL baptised 8 October 1844 Sculcoates, Hull, buried 13 October 1844 Sculcoates, Hull. 1.2.4.2.5.4.2. Sarah Ann HASWELL born 1846 Sculcoates, Hull, died 1846 Sculcoates, Hull. 1.2.4.2.5.4.3. Fanny HASWELL baptised 30 May 1848 Hull, died 7 January 1930, married 1st 5 February 1874 Benjamin Joseph ANDERSON, married 2nd 19 May 1912 Thomas WILSON. 1.2.4.2.5.4.4. Charles HASWELL baptised 3 June 1852 Sculcoates, Hull, buried 5 November 1894 Hull, married 30 October 1884 Martha DEAN. 1.2.4.2.5.4.5. James HAZMALANCH baptised 13 October 1869 Sculcoates, Hull, buried 10 November 1869 Hull. 1.2.4.2.5.4.6. Louisa HAZMALANCH baptised 17 July 1871, buried 30 March 1872. 1.2.4.2.5.5.1. Sarah Ann HAZMALANCH born 31 July 1846, died 31 July 1846. 1.2.4.2.5.5.2. Ann Isabella HASWELL born July 1850 Hull, died 9 June 1929 Thornton-le-Dale, North Yorkshire. 1.2.4.2.5.5.3. Thomas William HAZMALANCH baptised 2 August 1852, buried 12 August 1852. 1.2.4.2.5.5.4. Mary Jane HASWELL baptised 12 June 1857 Sculcoates, Hull, died 12 August 1946 Hessle, East Yorkshire, married 12 September 1908 Sculcoates, Hull Henry Ernest HARPUR born 1856 Church, Lancashire, died 29 December 1942. 1.2.3.1.4.5.2.1. Federick Charles HEZMALHALCH born 3 August 1874 Harewood, Leeds, died 22 May 1944 Orange, California, U.S.A., married August 1904 Charlotte HARRIS born 16 September 1878. 1.2.3.1.4.5.2.2. John William HEZMALHALCH born 1876 Leeds, died 1877 Kirkstall, West Yorkshire. 1.2.3.1.4.5.2.3. Harry Best HEZMALHALCH born March 1878 Leeds, died 1879 Leeds, West Yorkshire. 1.2.3.1.4.5.2.4. Isabel HEZMALHALCH born 1880 Leeds, died 1958 California, U.S.A., married Unknown TALBOTT. 1.2.3.1.4.5.2.5. Charles Garrett HEZMALHALCH born September 1882 Leeds, died 1972 Napa, California, U.S.A., married Bertha Faye PATTERSON. 1.2.3.1.4.5.2.6. Olive HEZMALHALCH born September 1884 Leeds, died 1884. 1.2.3.1.4.5.2.7. Ernest HEZMALHALCH born 1885, died 1895. 1.2.3.1.4.5.2.8. Alfred Hervey HEZMALHALCH born 29 September 1891, died January 1972 California, U.S.A., married 1st c1911 Margoria UNKNOWN, married 2nd 15 March 1920 Burbank, California, U.S.A Mildred Antoinette JONES. 1.2.3.1.4.5.4.1. Ethel HEZMALHALCH born 1886, died 1960 Denver, Colorado, U.S.A.
1.2.3.1.4.5.4.2. Charles HEZMALHALCH born 1889, died 1959, married 1st Olive UNKNOWN born 1898, died 1994 Denver, Colorado, U.S.A., married 2nd Edith UNKNOWN. 1.2.3.1.4.5.4.3. Helen HEZMALHALCH born 1895, died 1940. 1.2.3.1.4.10.2.1. Kate HEZMALHALCH born 1887 Dundee, died 1966 Embleton, Northumberland. 1.2.3.1.4.10.2.2. Edith HEZMALHALCH born 1889 Dundee. 1.2.3.1.4.10.2.3. Laura HEZMALHALCH born 1891 Dundee, died 1931. 1.2.3.1.4.10.2.4. Alfred HEZMALHALCH born 1893 Dundee, died 1988 Dundee, married 1 September 1926 Dora PATERSON born 1893, died 1955. 1.2.3.1.4.10.2.5. Louisa HEZMALHALCH born 1896 Market Harborough, Leicestershire, died 1966 Harrogate, West Yorkshire. 1.2.3.1.4.10.2.6. Eric HEZMALHALCH born 1898 Market Harborough, Leicestershire, died 1 December 1917, buried Louverval, France. 1.2.3.1.4.10.7.1. Hilda HEZMALHALCH store buyer, born 1897 Market Harborough, Leicestershire. 1.2.3.1.4.10.7.2. 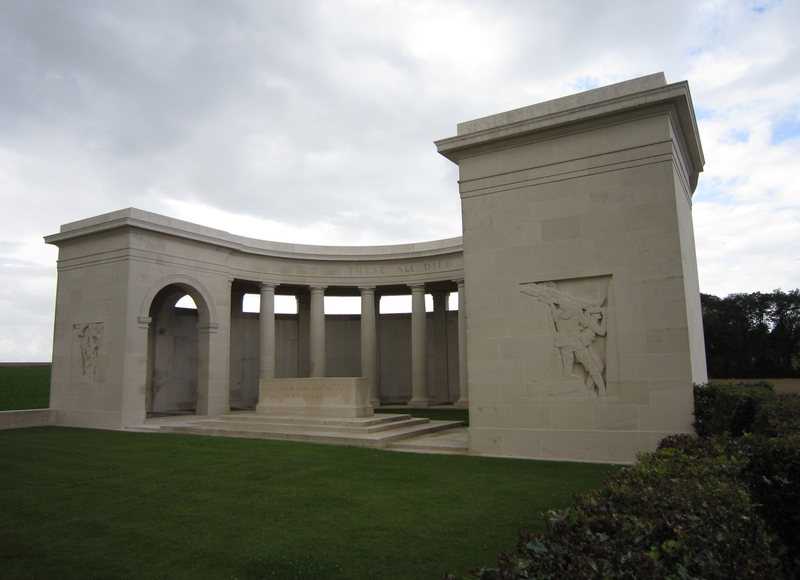 Arthur HEZMALHALCH born 4 September 1899 Dundee, died c1917 Meuse, France. 1.2.4.2.4.2.2.1. Elizabeth Hannah HEZMALHALCH born September 1875 Leeds, died 1876 Leeds. 1.2.4.2.4.2.2.2. James Robert HEZMALHALCH glass and china dealer, born 1877 Leeds. 1.2.4.2.4.2.2.3. Sydney HEZMALHALCH warehouseman, born 1880 Kippax, West Yorkshire, buried 15 October 1943 Harehills, West Yorkshire, married 1903 Leeds Annabella THOMPSON. 1.2.4.2.4.2.2.4. John HEZMALHALCH born 1883 Leeds. 1.2.4.2.4.2.4.1. Ann Elizabeth HEZMALHALCH born 20 March 1874, married 1st Leeds Unknown DOUGHAN, married 2nd Unknown UNKNOWN. 1.2.4.2.4.4.3.1. Thelma HEZMALHALCH born 1905 Michigan, U.S.A.
1.2.4.2.5.1.4.2. John Percival HASWELL hairdresser, born 1871 Hull, married 1893 Sculcoates, Hull Edith Rebecca PECK hairdresser, born 23 December 1870 Sculcoates, Hull, died 1940 Ottringham, East Yorkshire. 1.2.4.2.5.3.3.1. George HASWELL oil miller, born c1872 Hull, died 20 March 1951, married 1st 16 October 1892 Frances SHAKESBY buried 22 June 1893, married 2nd 2 March 1895 Sarah WILLIAMS. 1.2.4.2.5.3.3.3. Unknown HAZMALANCH born 15 April 1876, died 15 April 1876. 1.2.4.2.5.3.3.4. Henry HASWELL born July 1877 Hull, died 7 July, 1951, married 17 January 1914 May FARNILL. 1.2.4.2.5.3.3.5. John William HASWELL baptised 17 March 1880 Hull, died 24 February 1929, married 13 June 1921 Olive APPLEBY. 1.2.4.2.5.3.3.6. Hannah HASWELL baptised 4 June 1883 Hull, died 28 June 1913, married 3 November 1906 Dennis RICHARDSON. 1.2.4.2.5.3.3.7. Annie HASWELL baptised 13 November 1885 Hull, buried 6 December 1887. 1.2.4.2.5.3.3.8. Annie HAZMALANCH baptised 22 July 1888, died 17 October 1918, married 20 February 1919 George William ABLETT. 1.2.4.2.5.3.3.9. Richard HAZMALANCH baptised 6 May 1892, died 18 November 1951, married 1 December 1923 Margaret HORTON. 1.2.4.2.5.3.3.10. Arthur HAZMALANCH baptised 8 September 1894, died 9 February 1958, married 8 December 1917 Sarah NEWTON TOMLINSON. 1.2.4.2.5.4.4.1. Edith HASWELL born c1887, buried 24 July 1887. 1.2.3.1.4.5.2.1.1. Fred H. HEZMALHALCH born 1905, died 1928, married Alice Estelle STATUM. 1.2.3.1.4.5.2.1.2. Lillian E. HEZMALHALCH born 1906 Glendale, California, U.S.A., died 1994, married Bernard THIELE. 1.2.3.1.4.5.2.1.3. Nancy E. HEZMALHALCH born 21 August 1908 California, U.S.A., died 1990, married 1933 Ivan JAY. 1.2.3.1.4.5.2.1.4. Charles Alfred HEZMALHALCH born 1910, died 1998, married Unknown UNKNOWN. 1.2.3.1.4.5.2.1.5. Robert Ward HEZMALHALCH born 1910, died 1978, married Melba Hope HOUSELEY. 1.2.3.1.4.5.2.1.6. Jeanne Odell HEZMALHALCH born 13 September 1912. 1.2.3.1.4.5.2.1.7. William Henry HEZMALHALCH born 15 August 1914, died 1992, married Jeraldene VIOLETTE. 1.2.3.1.4.5.2.5.1. 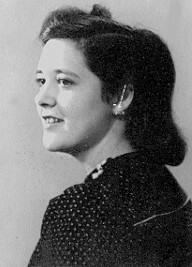 Lynette HEZMALHALCH born 1908, died 1984. 1.2.3.1.4.5.2.5.2. Philip James HEZMALHALCH born 1910, died 1994, married Unknown UNKNOWN. 1.2.3.1.4.5.2.5.3. Everett Franklin HEZMALL born 1913, died 1988. 1.2.3.1.4.5.2.5.4. David Charles HEZMALL born 1922, died 6 September 2004 San Jose, California, U.S.A., married Lois Roberta HARDISTY. 1.2.3.1.4.5.2.5.5. Stephen Patterson HEZMALL born 1923, died 1999, married Unknown UNKNOWN. 1.2.3.1.4.5.2.8.1. Jack HEZMALHALCH born 1911. 1.2.3.1.4.5.2.8.2. Louise Owen HEZMALHALCH born 17 March 1921, died 17 March 1921. 1.2.3.1.4.5.2.8.3. Alfred Gordon HEZMALHALCH born 21 November 1924 Glendale, California, U.S.A., married 1st Karen Louise HANSEN, married 2nd Marie ROLLINS. 1.2.3.1.4.5.2.8.4. Claude Hoyle HEZMALHALCH born 7 May 1927 Glendale, California, U.S.A., married Marcia Jean HAMILTON. 1.2.3.1.4.5.4.2.1. Charles HEZMALHALCH born 1915. 1.2.3.1.4.10.2.4.1. Mary HEZMALHALCH born 1927, married Edward ANDERSON born 1927. 1.2.3.1.4.10.2.4.2. Alfred HEZMALHALCH born 1931, married Yvonne ANDERSON. 1.2.4.2.4.2.2.3.1. John William HEZMALHALCH born 1905 Leeds, died 1981, married Unknown UNKNOWN. 1.2.4.2.4.2.2.3.2. George HEZMALHALCH born 1906 Leeds, died September 1907 Leeds. 1.2.4.2.4.2.2.3.3. Margaret HEZMALHALCH born 1907 Leeds, married 1932 Harry SOWRY. 1.2.4.2.4.2.2.3.4. Lily HEZMALHALCH born 1909, died 2000, married 1935 Mark BEAUMONT. 1.2.4.2.4.2.2.3.5. Minnie HEZMALHALCH born October 1911, died 27 May 1913. 1.2.4.2.4.2.2.3.6. Harry HEZMALHALCH born 1913, died 16 November 1940 Harehills, West Yorkshire. 1.2.4.2.4.2.2.3.7. 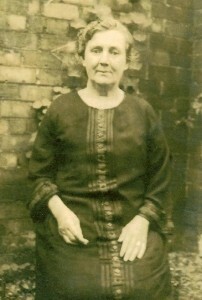 Emma Elizabeth HEZMALHALCH born 1915, and died 1917 Leeds. 1.2.4.2.4.2.2.3.8. Robert HEZMALHALCH born 1918 Leeds, died 1919. 1.2.4.2.4.2.2.3.9. Ethel HEZMALHALCH born 1920, married 1942 Chester RUTHERFORD. 1.2.4.2.5.1.4.2.1. Charles W. HASWELL born 1897 Hull. 1.2.4.2.5.1.4.2.2. John Henry HASWELL hairdresser, born 16 October 1903 Hull, married 1st 29 October 1931 Sculcoates, Hull Blanche HODGSON, married 2nd 1947 Elizabeth TOWSE 1947 born 26 September 1913 Ottringham, died 5 June 2007 York. 1.2.4.2.5.1.4.2.3. Richard Percival HASWELL clerk, died before 1939 Hull, married 1922 Sculcoates, Hull Mary J. HOLDGATE.